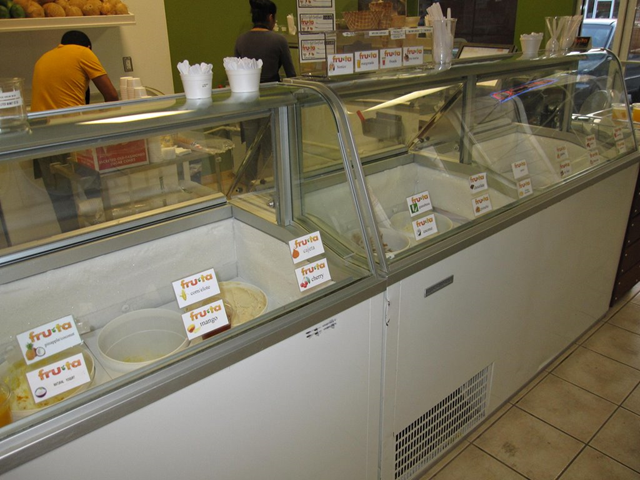 Fruta offers lots of flavors of their delicious ice cream - from the traditional to the more adventurous. Tonight was an unusually warm night here in Santa Rosa. Sonoma County evenings are typically quite cool. Even hot summer days give ways to chilly temperatures at night. So we decided to take advantage of the mild evening and pop into Fruta. We’re lucky enough to live walking distance from this fabulous new ice cream place, but we’d be happy to make a special trip for one of their delicious ice cream cones! Fruta means “fruit” in Spanish and they live up to their name. 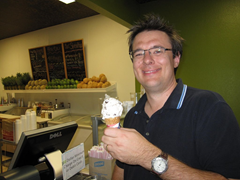 They serve natural home made ice creams made from all sorts of fruit – both the familiar and not. They bill themselves as a “Michoacán-style” (a Mexican state). The more typical strawberry, chocolate and vanilla are served alongside more novel flavors like avocado, corn, mamey and guanabana (sour sop). Ian is a big fan of the mango with chile, whereas Wendy would recommend the sweet potato. Ian enjoying one of Fruta's more traditional ice cream flavors - chocolate chip. Whether your taste runs to the traditional or the more adventurous, with at least a couple of dozen flavors on any given night, it should be no problem to find something to your liking. Samples are generously provided, making it even easier to make your choice. A single scoop in a sugar cone costs a mere $2, making Fruta very affordable as well as delicious! Ice cream not your thing? There are also paletas (popsicles), sorbets, and frozen yogurt along with different kinds of agua frescas – Mexican soft drinks (but not carbonated). The paletas are absolutely awesome and totally different from regular store bought popsicles – or the home made ones we’ve made at home, for that matter. There are lots of different flavors to try – there’s sure to be something that suits your taste. 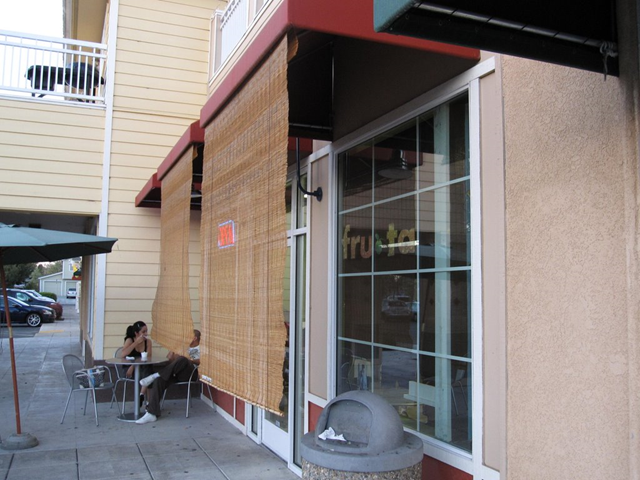 Fruta's unassuming exterior doesn't reflect the awesome selection of great home made ice cream inside. There is seating both inside and out, although the “view” of the mini-mall parking lot doesn’t really add much to the experience. 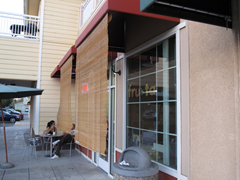 A nice touch – Fruta is a family run business and we’ve always found the service to be helpful and friendly. Ice cream is definitely my thing! Yummy. It sounds like you live in the best place in America. Wine country, ice cream, balmy evenings…what more could you ask for! Thank you very much for this article.Very well done.